I am Ivy, and I am ready to steal your heart! 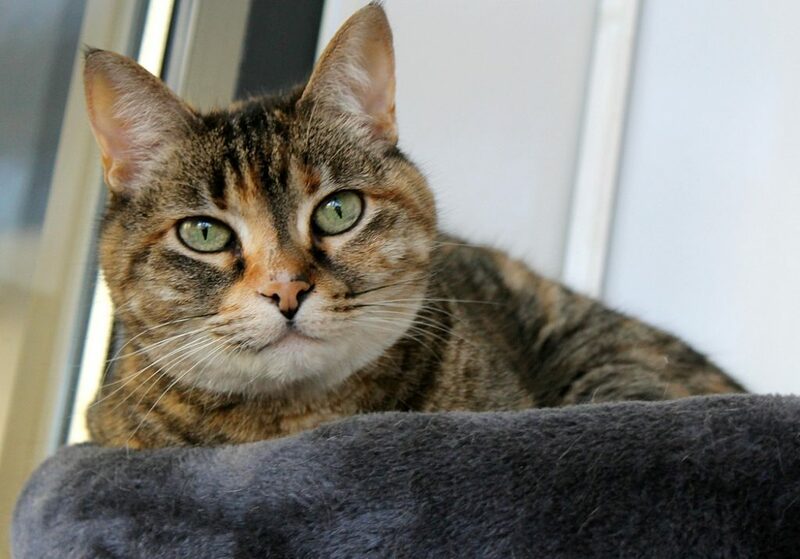 I’m a big, round, very friendly and beautiful 10-year-old lady kitty that came to Pixie after my former owner became ill and could no longer care for me. I have lived with another kitty before and currently am living among other cats in the Pixie cattery, and although I don’t have a big problem with anyone, I definitely seem like I’d be totally happy as your one-and-only. I have plenty of love to go around and will usually be one of the first to seek attention from new visitors big and small. I have unfortunately been de-clawed in the front but I am perfectly happy living entirely indoors, which is good since I should be kept inside without my defense mechanisms. Since I’m pretty mellow and cuddly I’d make a great apartment cat to get you through the cold winter that is on it’s way! I’m very confident and don’t mind a lot of hustle and bustle so a busier family would probably be a fine fit for me as well. Pixie has run bloodwork to make sure I’m a healthy kitty and even though I am a little older, I don’t need any medication or special diet at this time. You’d never know my age if you met me — I’m absolutely stunning and youthful and am sure to put a smile on your face. Stop by to see me today! I come to you fixed, vaccinated, and micro-chipped for an adoption fee of $80.